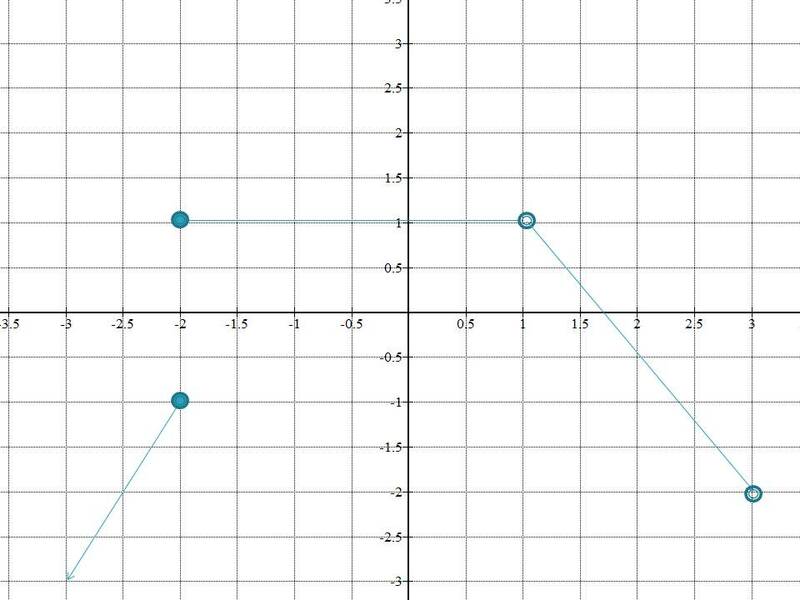 Which graph depicts a function? A function may only have one y-value for each x-value. 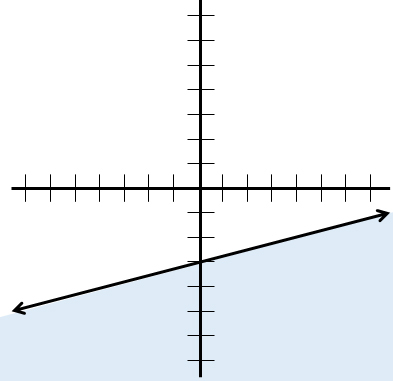 The vertical line test can be used to identify the function. 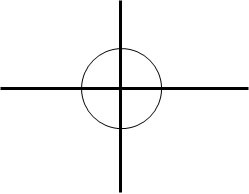 If at any point on the graph, a straight vertical line intersects the curve at more than one point, the curve is not a function. 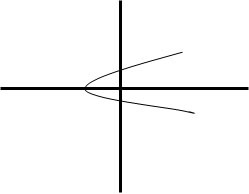 The graph below is the graph of a piece-wise function in some interval. Identify, in interval notation, the decreasing interval. As is clear from the graph, in the interval between ( included) to , the is constant at and then from ( not included) to ( not included), the is a decreasing function. Which equation best represents the following graph? We have the following answer choices. The first equation is a cubic function, which produces a function similar to the graph. The second equation is quadratic and thus, a parabola. The graph does not look like a prabola, so the 2nd equation will be incorrect. The third equation describes a line, but the graph is not linear; the third equation is incorrect. The fourth equation is incorrect because it is an exponential, and the graph is not an exponential. So that leaves the first equation as the best possible choice. What is the horizontal asymptote of the graph of the equation ? The asymptote of this equation can be found by observing that regardless of . We are thus solving for the value of as approaches zero. 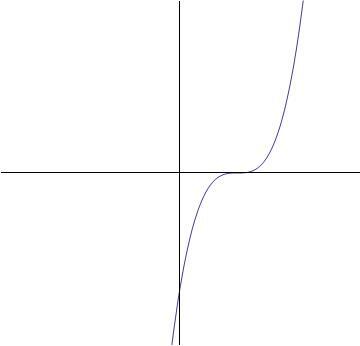 So the value that cannot exceed is , and the line is the asymptote. An exponential equation of the form has only one asymptote - a horizontal one at . 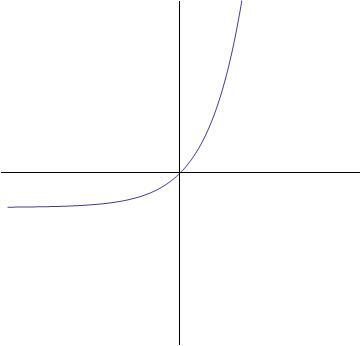 In the given function, , so its one and only asymptote is . 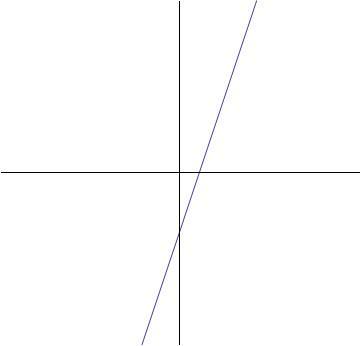 Which graph depicts the following inequality? The inequality is now in slope-intercept form. 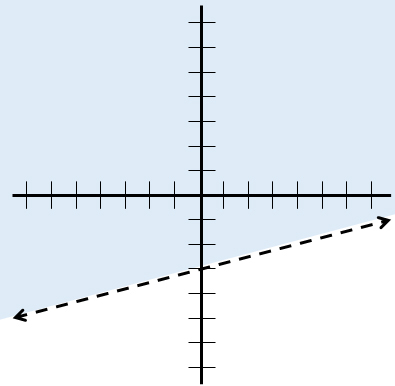 Graph a line with slope and y-intercept . Because the inequality sign is greater than or equal to, a solid line should be used. The statement is false. 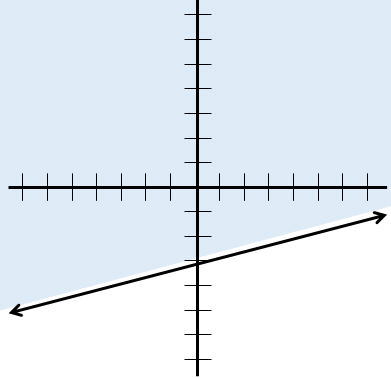 Therefore, the section of the graph that does not contain the origin should be shaded. What is the minimum possible value of the expression below? The expression has no minimum value. We can determine the lowest possible value of the expression by finding the -coordinate of the vertex of the parabola graphed from the equation . This is done by rewriting the equation in vertex form. 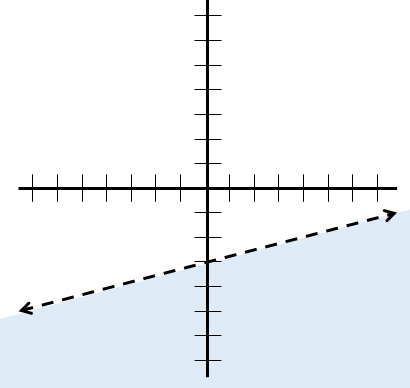 The vertex of the parabola is the point . 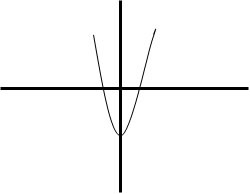 The parabola is concave upward (its quadratic coefficient is positive), so represents the minimum value of . This is our answer. What is the vertex of the function ? Is it a maximum or minimum? The equation of a parabola can be written in vertex form: . 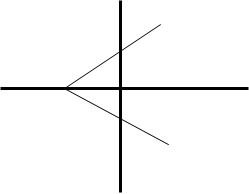 The point in this format is the vertex. If is a postive number the vertex is a minimum, and if is a negative number the vertex is a maximum. In this example, . The positive value means the vertex is a minimum. 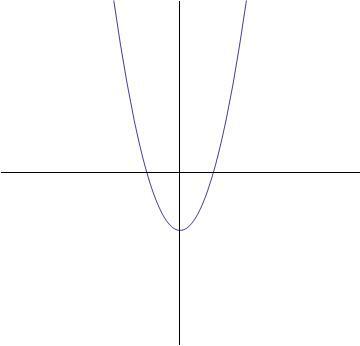 Which of the graphs best represents the following function? The highest exponent of the variable term is two ( ). 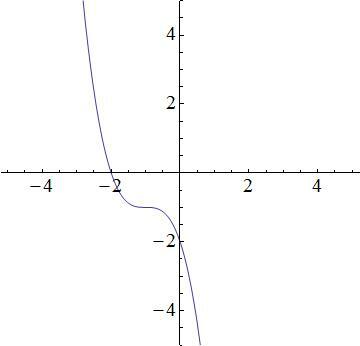 This tells that this function is quadratic, meaning that it is a parabola. The graph below will be the answer, as it shows a parabolic curve.